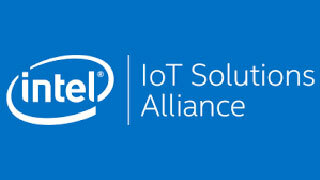 ALBUQUERQUE, NM – 12 JANUARY 2018 – SensorComm Technologies, Inc. (the “Company” or “SCT”) has been accepted into the Intel® Internet of Things Solutions Alliance to advance SensorComm’s IoT NOx monitoring system for vehicles (Wi-NOx™) in the Transportation and Smart City market segments. SensorComm is pleased to be working with a global leader like Intel® in furtherance of its IoT and NOx monitoring technologies. Intel® is a trademark of Intel Corporation or its subsidiaries in the U.S. and/or other countries. ABOUT SENSORCOMM: SensorComm Technologies Inc. (SCT), headquartered in Albuquerque, NM has developed a real-time IoT-based NOx emissions monitoring system called Wi-NOx™ that is installed at the tailpipe of vehicles for the transportation and smart city segments. Wi-NOx™ is the cornerstone of a global pollution mitigation strategy that provides the unique ability to create alternative revenue sources for cities and municipalities. The Wi-NOx™ system is designed for fleet, city and transportation managers who are investing in solutions that support operational efficiencies, cleaner air, lower healthcare costs and improved quality of life. Wi-NOx™ identifies polluting vehicles, supports existing regulations, and establishes the foundation for future incentive programs, while enabling socially conscious smart cities and individuals to effectively practice sustainability.